The Mazda CX-9 is a three-row crossover that’s a beauty both inside and out. Packed with plenty of features on the inside to keep passengers happy, the Mazda CX-9 is the ultimate car for you and your family. Whether you’re heading to the beach, Disney World, or across the country, the Mazda CX-9 will provide all the things you look for in a vehicle, including comfort and safety. When your kids beg to go to Disney World, the Mazda CX-9 will be there for you, ready and waiting. On your trip, the Mazda CX-9 will provide enough space for your family, friends, and cargo. Everyone knows that the destination isn’t the most important part of a trip – it’s the journey. Sure, you’ll remember seeing Cinderella’s castle and attending the Animal Kingdom, but the hours it takes to get there? You’ll want family comfortable, kids occupied, and a warm, pleasing environment so that everyone can enjoy each other’s company. No one wants to feel trapped in car for hours on end with nothing to do or no sense of comfort. The Mazda CX-9 prevents all of these things from happening. If you’re searching for a dependable vehicle that will carry your friends and family around safely, the Mazda CX-9 will be perfect for you. Are you ready to see the Mazda CX-9 for yourself? Contact us or stop by our dealership today to learn more. The new 2018 Mazda CX-9 is offered in four different trim levels: Sport, Touring, Grand Touring, and Signature. The Sport trim offers LED headlights, a rearview camera, 18-inch alloy wheels, 7-inch display, a leather-wrapped steering wheel, and more. This base trim also has a variety of safety features such as automated emergency braking, blind-spot monitoring, and rear cross-traffic alert. 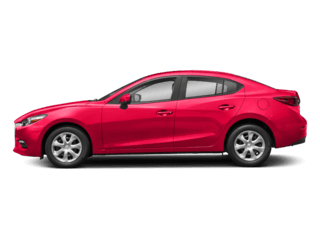 The Touring trim provides more luxurious features such as heated front seats, a power liftgate, auto-dimming rearview mirrors, USB ports for the second row, leather upholstery, an 8-inch display, adaptive cruise control, lane departure warning, and automatic high beams. 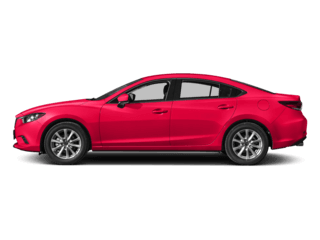 The Grand Touring trim level offers even more features, both inside and out. 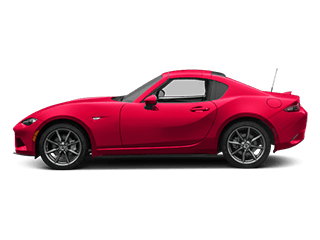 The Grand Touring features LED fog lights, 20-inch wheels, satellite radio, heated second-row seats, sunroof, a heated steering wheel, roof rails, and more. The top trim, the Signature, includes all-wheel drive, premium leather upholstery, LED accent lighting, as well as rosewood interior trim. The Mazda CX-9 debuted in 2006, beginning the first generation of the Mazda CX-9. During its first generation, the Mazda CX-9 went through several changes, including numerous facelifts. 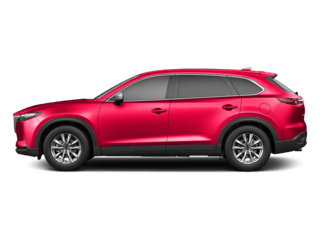 For instance, in 2010, the Mazda CX-9 added a new front fascia and in 2013, it received new headlights and a new grille. During the years of 2011 and 2012, the Mazda CX-9 didn’t receive any changes. By the time 2016 came around, the Mazda CX-9 was gearing up for even more updates. 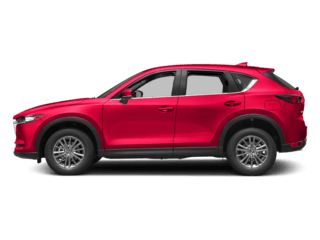 The new Mazda CX-9 was first revealed at the Los Angeles Auto Show in 2015 and the second generation of the Mazda CX-9 began in 2016. With a new, modern exterior design and new safety features, the Mazda CX-9 turned heads immediately. Some of the safety features offered during the second generation include: radar cruise control, lane departure warning, blind-spot monitoring, and high beam control. 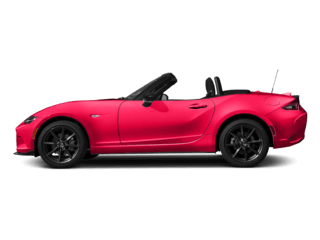 Call, email, or visit Mazda of Palm Beach today. If you’re still searching for a Mazda CX-9 at an incredibly low price, we’ve got you covered. 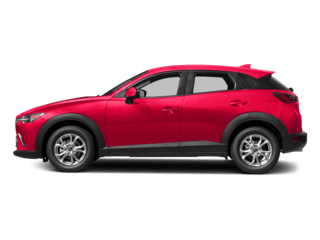 Our extensive inventory includes a wide range of vehicles, including our Mazda CX-9 models. Don’t hesitate to reach out to us to learn more about the Mazda CX-9. Our well-trained team members are more than happy to help answer your questions. We pride ourselves on outstanding customer service and we want your experience at our dealership to be memorable and relaxing. That’s why we offer a stress-free and hassle-free environment for shoppers. If you’re interested in specials, we have those too. From new vehicle specials to pre-owned vehicle specials and everything in-between, we’ve got it all. Our deals are only for a limited time, so take advantage of them today. The prices you see online today could be gone soon, so contact us now. Don’t wait! From Jupiter to West Palm Beach, residents will enjoy the car-buying experience at our dealership. We are conveniently located at 2677 Northlake Blvd, North Palm Beach, FL 33403. Visit us today to see the Mazda CX-9 up close and personal. Take a test drive while you’re here. We look forward to seeing you soon!